No Comments on What Are the Top Entry-level IT Certifications? They are the problem solvers, the pragmatic purveyors of practical wisdom. They work diligently in every office building, business, government agency, and non-profit across the country. They are the men and women who make sure organizations have the computers, printers, security systems, and networks needed to succeed—and that the technology works. 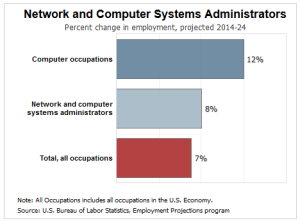 They are information technology professionals, and they are in high demand. IT professionals have many titles. Some are called network administrators, others systems engineers. All have job prospects that are expected to grow rapidly, by 8 percent, over the course of the next decade (according to the United States Bureau of Labor Statistics). Yes, the IT industry is growing, offering an array of opportunities for people willing to work hard, get a good education, and pursue certification. Getting certified helps you stand out from the crowd. It shows employers that you have the knowledge, skills, and experience to succeed. Network administrators help organizations identify their network needs, make planning and purchasing decisions to meet those needs and implement, secure, maintain and repair networks once they are installed. Maintaining and troubleshooting IP networks. Certifications can be valuable for network engineers, systems engineers, network support engineers, and network administrators. The Cisco Certified Network Professional certificate is one of the most popular entry level certificates. It demonstrates to employers that you are able to properly install, operate and configure enterprise-level switches and routers as well as identify and solve common network problems. Becoming certified as a Cisco certified network professional is a great way to get your foot in the door in a growing industry. Companies and organizations across the country and around the world use Windows operating systems to manage and create information. Windows is an operating system that is critical to the success of businesses in every industry—and windows network engineers are the people who keep it running properly. This certificate program provides you with practical skills and knowledge that can help make you an asset to organizations that run Windows operating systems anywhere in the world. The help desk is perhaps the most important place in any organization. It’s the first place employees call when they have any sort of problem related to their computers, printers, Internet connection, or email. And the person who answers the phone is relied upon to provide fast, accurate, and effective advice. By the time you have earned your certificate, you will have knowledge, skills, and experience with basic computer maintenance, upgrading, configuring personal computing hardware, and components. You will have proof to share with employers of your abilities to maintain, upgrade, and configure PC systems. Each year, more and more businesses and organizations move their technology to cloud-based servers. These off-site servers reduce the need for individual businesses and organizations to invest in their own servers—but not the need for highly trained IT professionals to ensure that the servers are secure and meeting the needs of the organization. The Server Administration and Management Certification program aims to prepare you for a variety of settings—from small offices to large businesses. 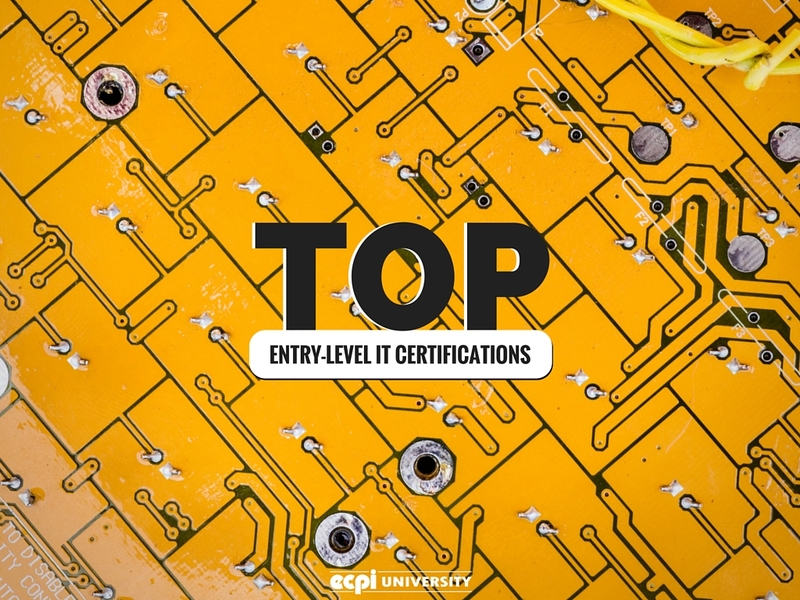 If you are interested in jump-starting a career as an IT professional, connect with the experts at ECPI University today to learn more about the IT certifications we offer. They will help you determine which of the top entry-level IT certification programs will best help you meet your career goals.